Here’s a quick titbit of relatively uninteresting news. 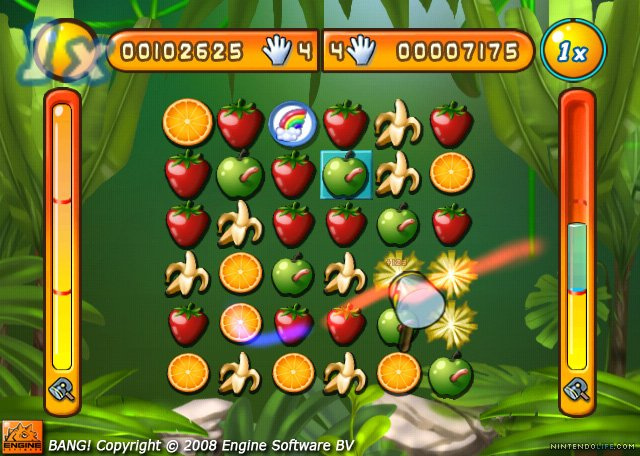 Engine Software’s WiiWare puzzle debut “Bang!” has been renamed to Bang Attack following the realisation that an Italian company got there first! Doetinchem, May 18th 2009 - Engine Software, developer based in the Netherlands, today announces that its debut WiiWare title “Bang!” will be renamed to “Bang Attack” in the European and American territories. 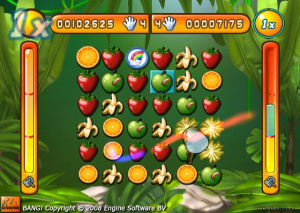 The WiiWare puzzlegame “Bang!”, currently only available in European territories, will undergo the name change to prevent further confusion in regards to the copyrighted game “Bang!” produced by Italian company daVinci. In light of the pending American release of “Bang!” for WiiWare, Engine Software came to this decision following friendly discussions with the producing company in Italy, and Nintendo of Europe on how to prevent confusion regarding each game. The new name will be executed on the European WiiWare service first, and the updated version will go live in the next few days. Although there is no exact date scheduled for the American release of Bang Attack, we anticipate the game will appear in this territory in the next month. Currently Engine Software has several new WiiWare releases planned, on which more information will be released to the press, and the public in the following months. It’s interesting to hear that Engine Software is working on some new WiiWare titles. Hopefully they will be more inspiring than Bang Attack which was found wanting in our review back in December. In case they were thinking of calling their next game Pang we should mention that Mitchell/Capcom got there first! Poor guys! They've taken forever to do this game and now they're having to rename it as well! Pssh. That is pretty sad... After the things I heard about this when it did appear in EU, I'm not looking forward to seeing Bang Attack coming to NA at all... They do cite that they hope it'll appear within the next month. AFAIC, just get it over with. As long as they don't release it by itself... On the other hand, if more titles are in the works, then that should be interesting. It was a bad name anyway. Besides being completely non-descript, it's been used before. I always think of "Bang! Gunship Elite" whenever I hear the name. Yeah everything is better with the word party attached to it. I actually mistook it for that game! Well, that's a nice bit of news. Whatever it's called though, this game can BANG off. Worst waste of 500 Wii Points EVER. ^ It's because of the above poster's thoughts (personally relayed to me at an earlier point in time) that I've decided to ignore the game completely. I personally prefer the name "Engine Software Puzzler"
It wasn't "banging" in the nice sense at all. Bang...that word is the only good part of this game.